How Do I Turn the Chime Off On My Alarm System? 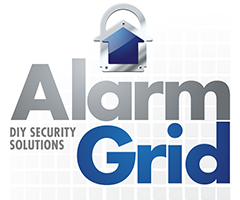 You can turn the chime off on your alarm system by following the steps specific to the type of system that is being used. Each alarm system has a different process for turning off the chime. However, the appropriate setting is usually found within the volume menu for the control panel. With the panel disarmed, enter in [Master Code] +  on the keypad to toggle between the chime settings. If the message "****Disarmed****" is displayed, then chime is disabled. But if "Disarmed Chime" is displayed, then chime is enabled. From the home screen, choose Security, then More, then Settings. Press the "Chime" button. This button is below the volume bar and to the right of the "Voice" button. If the button has a green background, then chime is on. But if it is greyed out, then chime is off. Press "Save" in the lower-right corner of the screen to save the selection. From the main screen, select Settings. Press the "Chime" button, which is below the volume bar and to the left of the "Clean" button. If the button has a blue background, then chime is on. If it has a white background, chime is off. Make the proper selection, and then press "Save" in the bottom-right corner of the screen. From the home screen, press the System Settings button. Then provide the panel's Master Code or Installer Code (default is 1561). Choose the option "Voice and Chime". Set the volume setting all the way to the left to mute the system and disable the chime. Press the small grey bar at the top of the home screen. Choose Settings > Advanced Settings > enter the Installer Code (default 1111) > Sound. Then scroll down to Chime Settings. Uncheck the box next to "All Chimes". This will disable the chimes for the system. Then press the picture of the house at the bottom of the screen to return to the home screen. Press the gear icon in the lower-right corner of the screen to access the settings menu. Find the chime option, and set it to "Off". Then press "Close" in the upper-right corner of the screen. From the main screen with the system disarmed, use the up and down arrows to scroll between menu options. Locate the "Chime" option, and press the "OK" button. The current selection of "On" or "Off" will begin to flash. Use the up or down arrow to toggle between the two options. Set the option to "Off", and then press the "OK" button. There are two ways to toggle the chime function on a DSC Impassa. The first way is to press and hold the "Chime" button on the keypad for two seconds. The second way is to enter the command [*] . If the system produces three consecutive beeps, then chime has been toggled to On. If the system produces one long continuous tone, then chime has been toggled to Off.